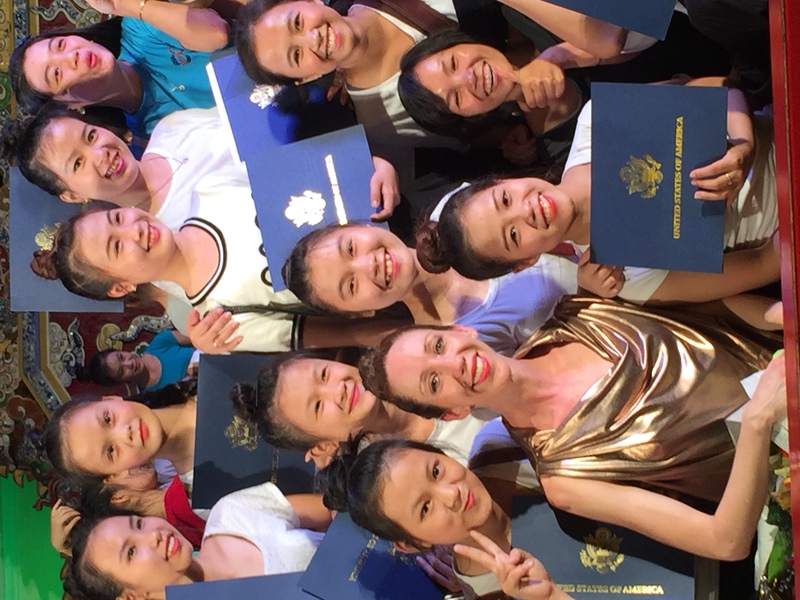 Dancing to Connect workshops with North Korean defectors and their South Korean counterparts; creatively transforming teenage residents of an orphanage; a high school show choir; and a group of young working women from international backgrounds. Strong and durable partnerships and alignment of goals are key to achieving great results in the conducting of international projects. In Busan, we found that honest and respectful relationships between individuals allowed for candid communication and a true dialogue. 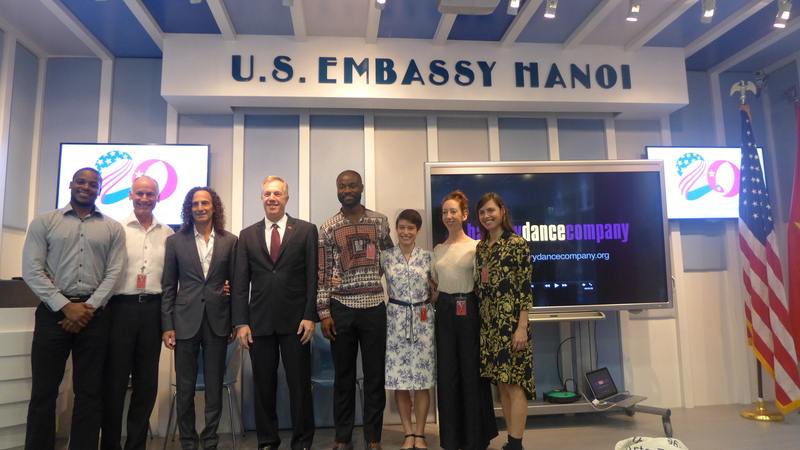 Alignment of goals between the parties -- in this case, the US Embassy in Seoul, the American Presence Post in Busan, local academic and social institutions and Battery Dance Company -- created a feeling of joint-ownership of the project, leading to the flow of resources. 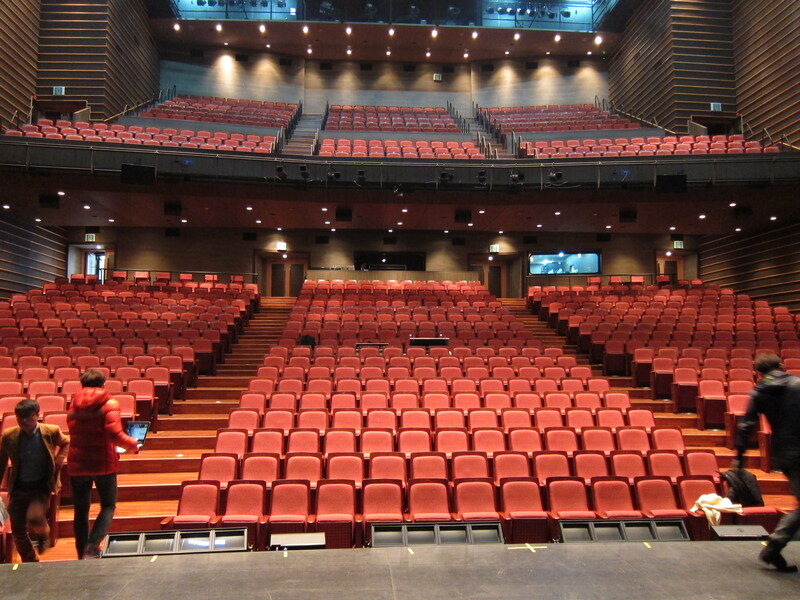 Among many examples, we were non-plussed when the technical director at the magnificent Sohyang Musical Theater said, "Would you like an extra day for us to start hanging the lights?" This was an offer that we hadn't presumed to expect and a first in 20+ years of working internationally. Icing on the cake: Our production designer was not happy with the lighting board in the theater and had mentioned that another model would be more appropriate for a pre-cued dance performance. Presto: the better board was sourced and provided, resulting in an impeccably lit performance, which was to everyone's benefit. Group I was initially split down the middle, with the South Korean teens much more self-confident, mature, and physically stronger than the defectors. The North Koreans appeared shy and reticent and clung to each other and their counselors. However, over the course of the week, the differences began to melt away and in the performance, audience members commented that they couldn't differentiate. This group was the center of much media attention, with cameras present for much of the workshop time. 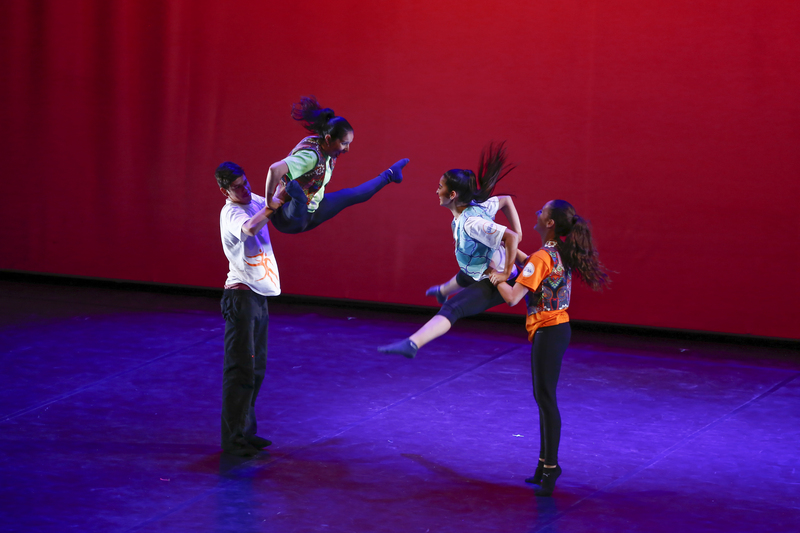 Battery Dance Company at Dancing to Connect final performance. 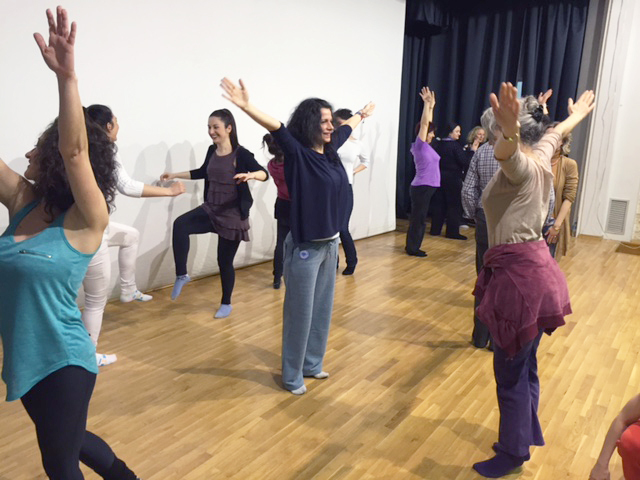 Embassy of Jordan in Washington D.C.
During the month of April, 2015, BDC engaged in a cultural diplomacy project in Amman, Jordan entitled Dance Across the Divides. 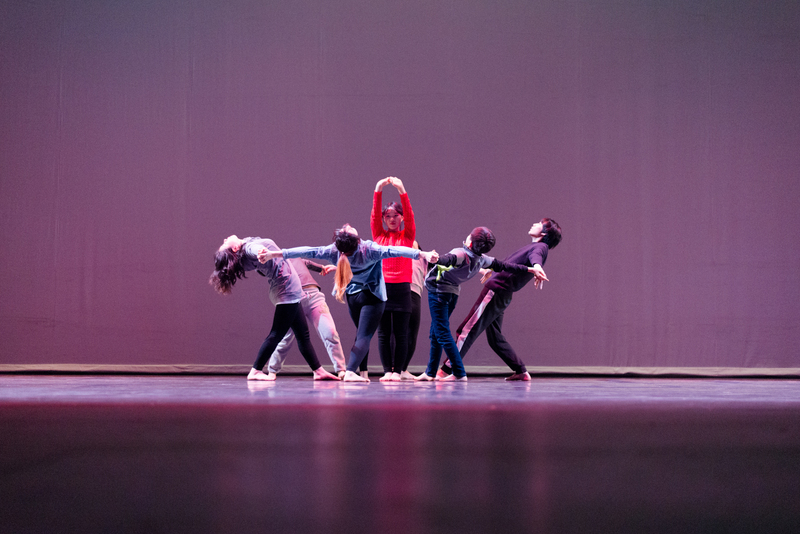 The project draws together performing artists and dance students of Jordanian, Iraqi, Libyan, and American backgrounds, underlining their common values, creativity and aspirations. 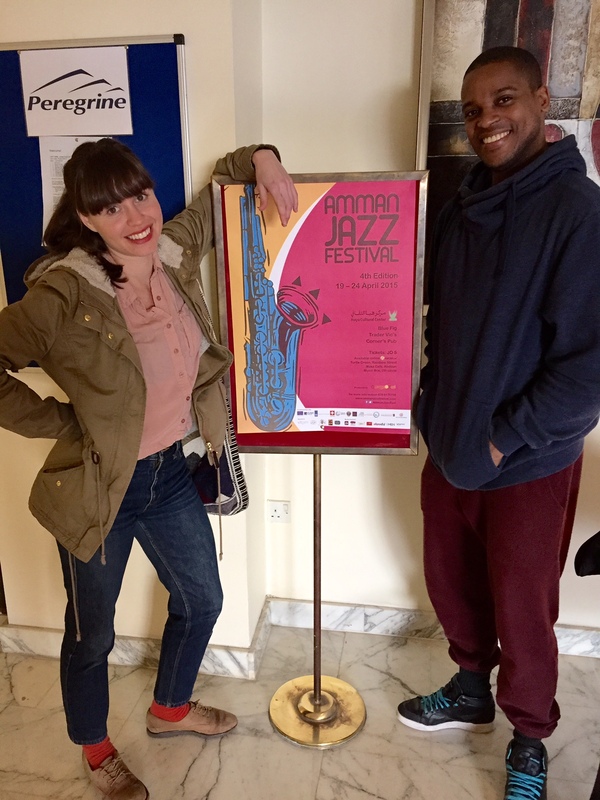 Key elements of the program include a performance at the Amman Contemporary Dance Festival, A performance of the Amman Jazz Festival, a collaborative workshop with BDC member Sean Scantlebury and Iraqi dancer Adil Q, as well as outreach activities including master classes taught by BDC teaching artist, Mira Cook. 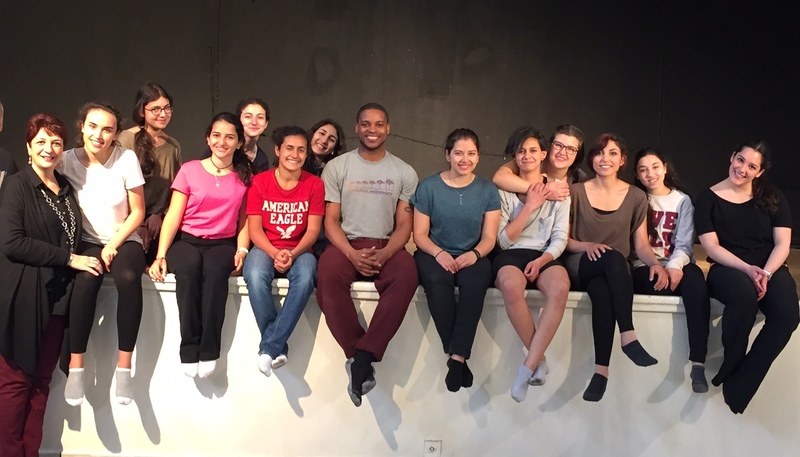 Over the past 6 months, Battery Dance Company has mentored Adil Q. Adil, an extrememly talented Iraqi dance artist via Skype. Because of the conditions in Baghdad, no formalized dance training is available and even practice outside of his home is considered a security risk. 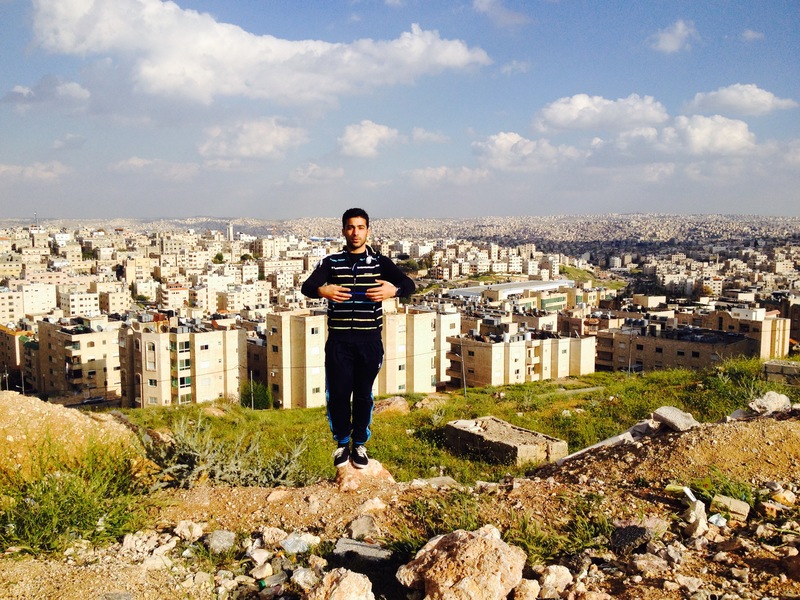 We arranged for Adil to secure a temporary Jordanian visa, with the help of the Embassy of Jordan in Washington D.C, and received a grant from the Prince Claus Frund o the Nederlands to cover his flights between Baghdad and Amman. 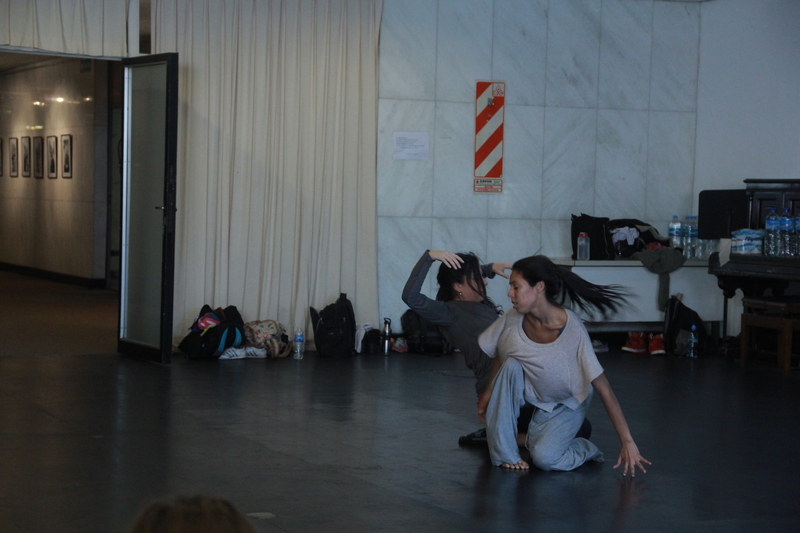 An 8-member team of Battery Dance members conducted five Dancing to Connect workshops of 20 hours each in Buenos Aires, Argentina, from May 31 – June 7, 2015. The team worked with approximately 100 youth selected from an open call extended by the US Embassy on its Facebook page which surprised everyone by yielding responses from nearly 800 young people between the ages of 14 – 25. 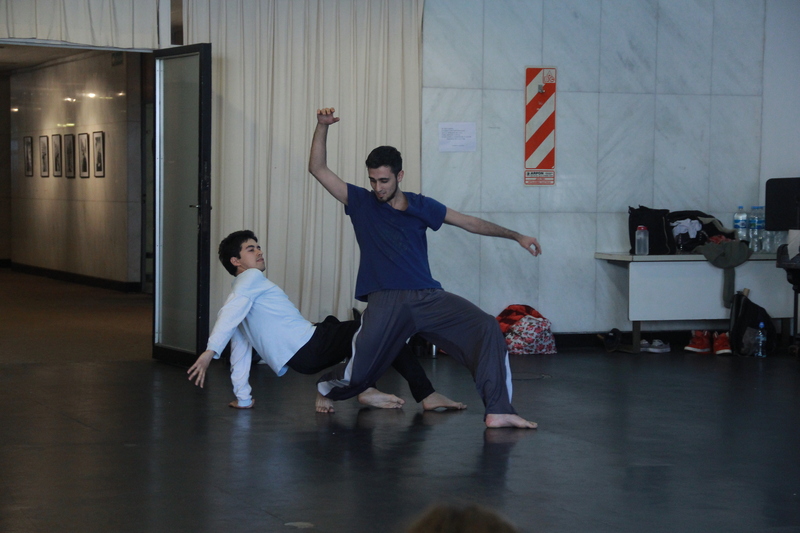 The workshop participants represented a wide variety of backgrounds from an ethnic and socio-economic standpoint, and yet they worked well together under the guidance of the five Battery Dance teaching artists ably supported by five Argentinian dance teachers. 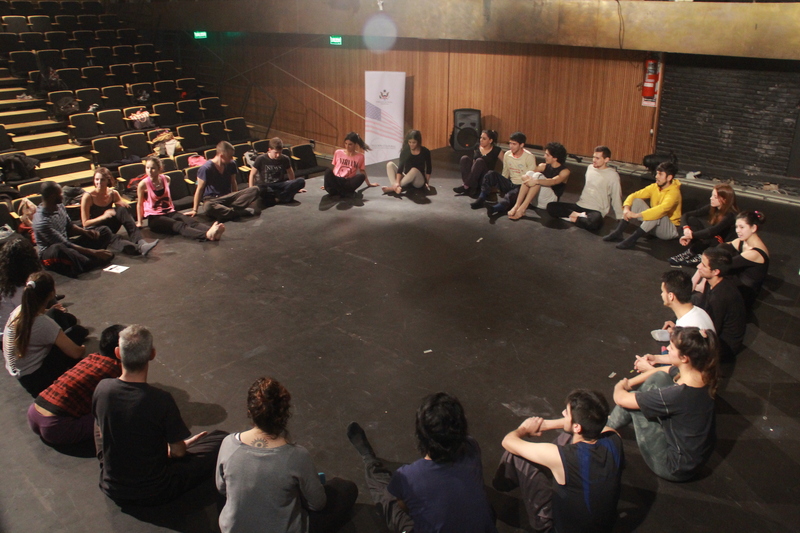 The Embassy assembled an exceptional group of local partners including Prodanza and Centro Cultural San Martin, which helped to source the local dance teachers, promote the program, provide the rehearsal spaces for four of the workshops and the theater, Teatro 25 de Mayo, that was used for the final performance as well as to house one of the workshops. AFS Argentina also partnered in a significant way, covering the cost of bringing Battery Dance’s South American specialist, Natalia Mesa, on the tour; and assisting with guiding the Company upon its arrival in BA from New York where AFS also arranged for an overnight at a hotel located adjacent to the Buquebus Port (where the Company members transferred to Montevideo the next morning); and arranging airport transfers for the company’s departure to Asuncion at the end of the program. 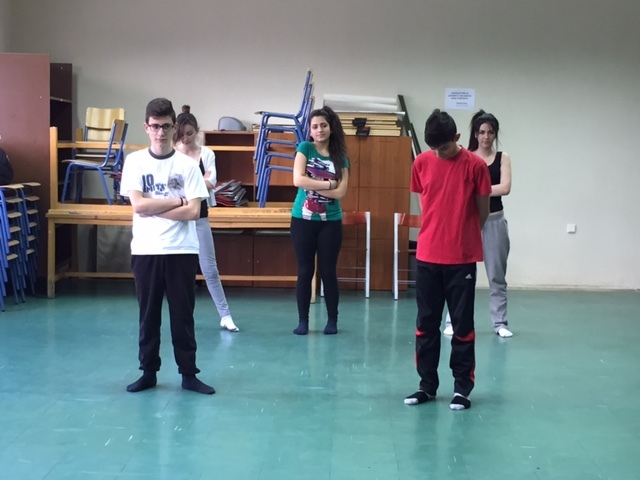 Approximately 10 international AFS students also took part in the Dancing to Connect workshops. 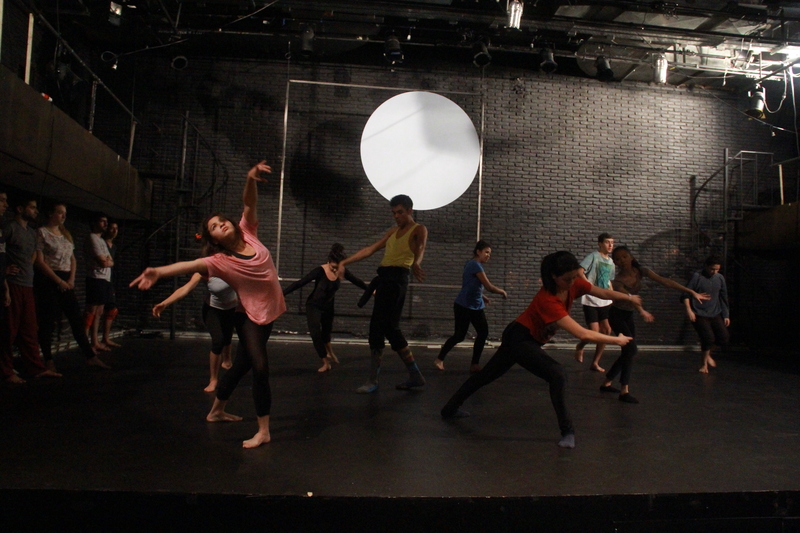 In addition to the Dancing to Connect workshops, Battery Dance’s artistic director Jonathan Hollander gave a lecture on arts management in the form of a public interview with the directors of Prodanza. 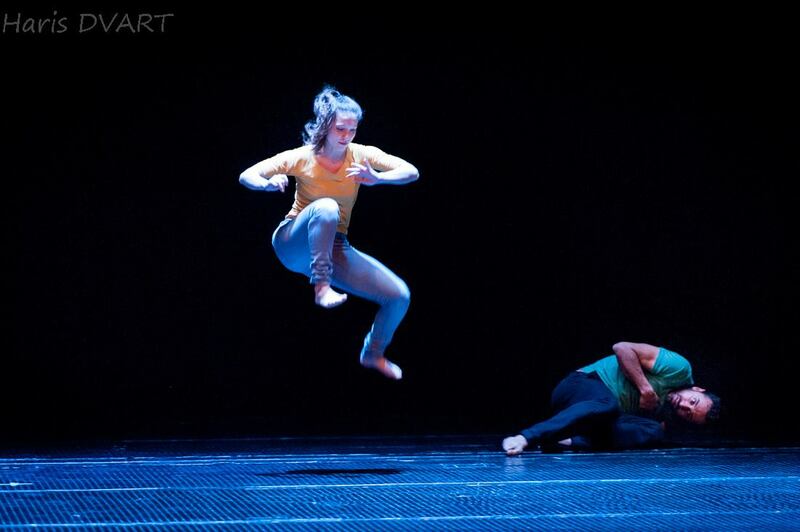 Battery Dance Company’s team of 7 arrived in Asuncion on June 7 and immediately embarked upon one of its most demanding programs in the nine years since having launched the Dancing to Connect℠ program. 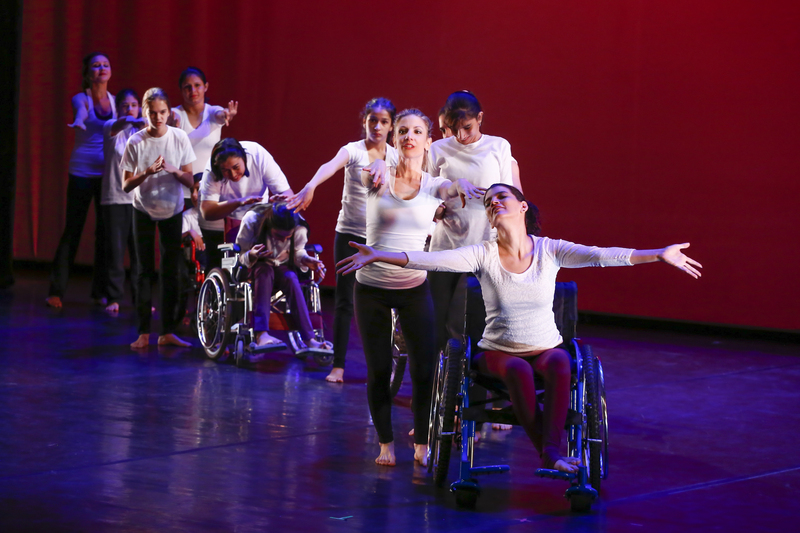 Since 2015 marks the 25th anniversary of the signing of the Americans with Disabilities Act, the US Embassy, our primary partner in Paraguay, decided to use Battery Dance Company to spotlight the ADA and raise consciousness around the rights and capabilities and needs of people with disabilities. Paraguay has a long way to go in equipping buildings with ramps, accessible bathrooms and all of the services that make a level playing field for people with disabilities. Although BDC had employed the DtC methodology to work with a range of participants with mental and physical disabilities in the past, the program in Paraguay proved to be the most concentrated and focused approach to date. The Embassy identified Fondacion Saraki among the NGOs that serve the disabled in Paraguay as the key local sponsor. Saraki has been the recipient of USAID grants in the past and is well-managed and accountable. Maria Jose and her husband Raul are the leaders of Saraki and are highly professional and committed individuals. Maria Jose’s brother has Down Syndrome and the couple have a son also with DS. 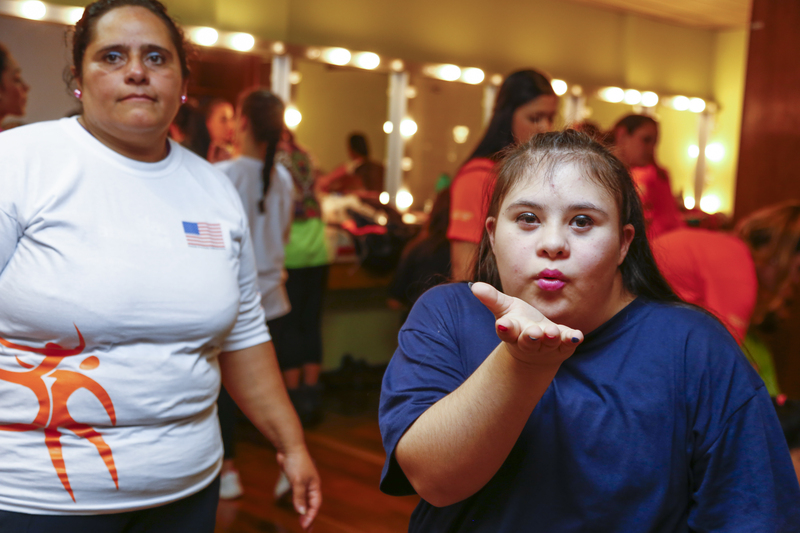 A former ballet dancer, Maria Jose understood the value of dance as a medium for enriching young people with disabilities, so she came to the project naturally. Saraki helped select dance studios and conservatories and foundations in and around Asuncion to source participants on both sides of the ability/disability spectrum and to identify studios with facilities appropriate for the dance workshops. 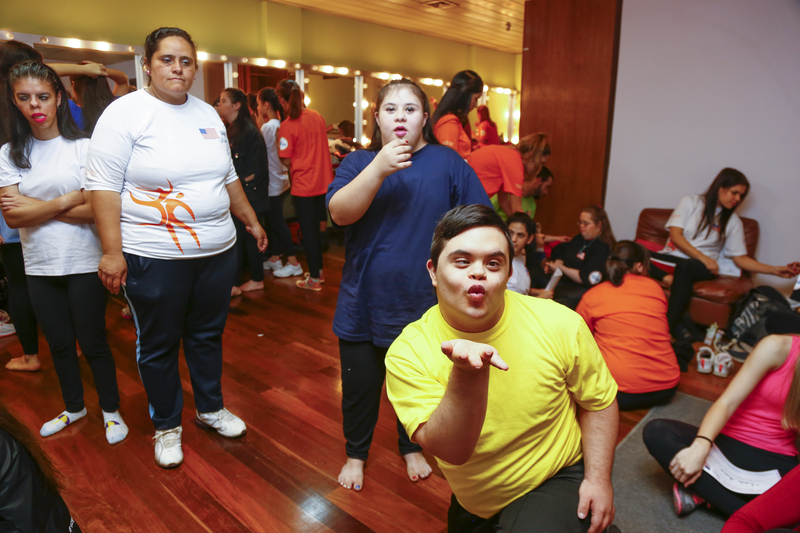 The result was that five groups were constituted with 20 – 25 participants in each, half of whom were disabled and the other half were dancers from the studios where the workshops took place. BDC President Jonathan Hollander had been asked whether it would be desirable to fill the groups with a mixture of disabilities – but he suggested that a concentration on each group around a particular impairment would yield the best outcomes. Thus we had 1 group with blind students, another with deaf students, and one with youth with various levels of intellectual impairment from mild through DS. Two groups had more mixed characteristics – one had 4 participants in wheel chairs, 2 of whom were also severely intellectually impaired, and others with Cerebral Palsy and so forth. The last group was composed of psycho-socially challenged young people from a slum 2 hours away from Asuncion and local DS youth and young adults. The involvement of young capable dancers could have been a deficit, if their attitudes or maturity caused them to respond to their disabled counterparts callously or impatiently. It could have been anticipated that such relatively privileged young people would feel stalled in the creative process by the slower learning pace necessitated by the involvement of disabled participants. On the contrary and much to their credit, these young dancers revealed reservoirs of love and compassion and sensitivity which provided the glue that held the groups together. In repeated visits to the programs, Hollander witnessed an atmosphere of cooperation and sweetness of disposition throughout. Some of the groups had a local dance teacher assisting the BDC teaching artist, in the role of a teacher trainee. 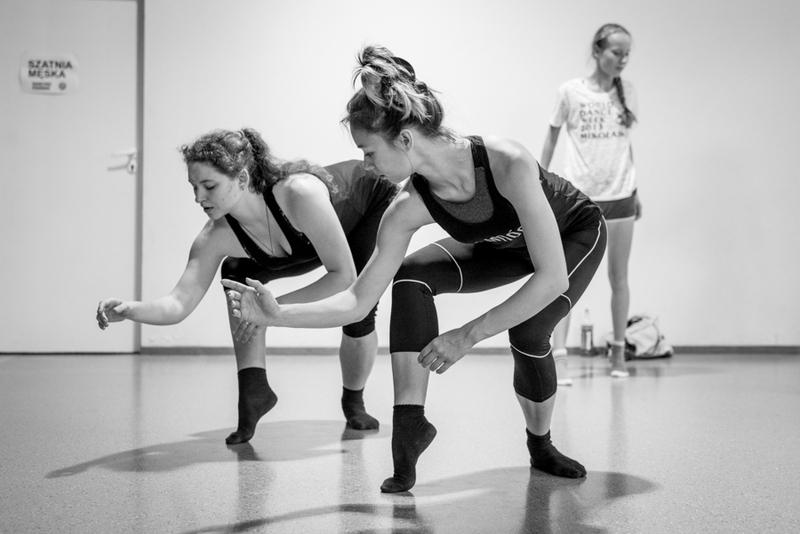 Others had young dance teachers actually participating in the workshops and performing as members of the groups. It is thought by the BDC team that its methodology will be carried on by all. Each of the groups had an interpreter to assist with the Spanish. The interpreter for the group with blind participants was, herself, blind. The Embassy arranged for motorpool support to take each of the BDC crew out to their receptive studios and back to the hotel each day. The schedule was particularly hard on the morning shift of three teaching artists who had to leave the hotel each day at 7:15 and begin teaching at 8 a.m. 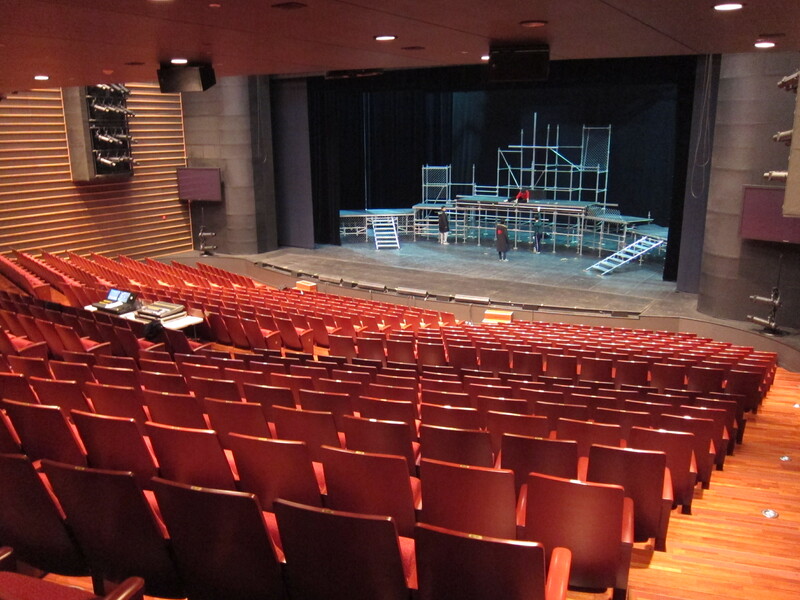 The workshops lasted 4 hours each day over the 5 weekdays; Saturday was reserved for spacing rehearsals at the theater, and Sunday included a dress rehearsal and final performance. 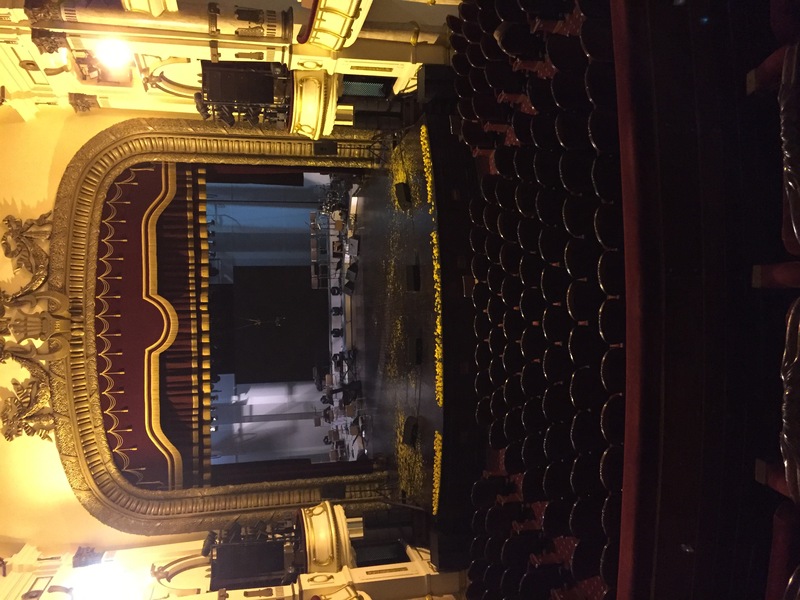 The theater was a conference hall located within the theater complex belonging to the Banco Centrale of Paraguay, (the Banco Conference Hall). Ambassador Leslie A. Bassett showered unusual attention on the Dancing to Connect Paraguay program. She visited one workshop midway through the week and two the next day, addressing the participants with genuine warmth and appreciation, eliciting deeply moving responses from abled and disabled alike. At one point, a young dancer choked back her tears as she described her feelings in the workshop; and the blind girl, next to her, followed suit. The Ambassador kept her composure but all the other adults in the room were less successful, even the heavily made up owner of the dance company and studio couldn’t prevent her mascara from running. 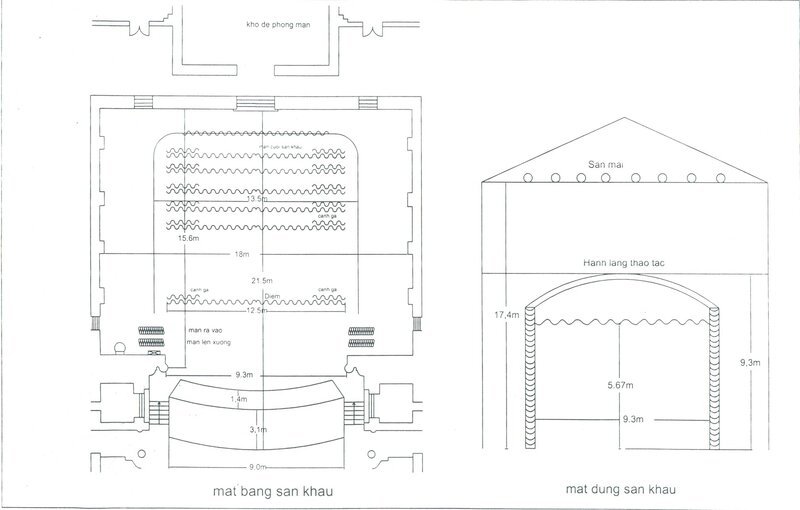 On the night of the final performance, parents of the young participants were allowed into the theater, even before the VIPs, since they were the evening’s true VIPs. 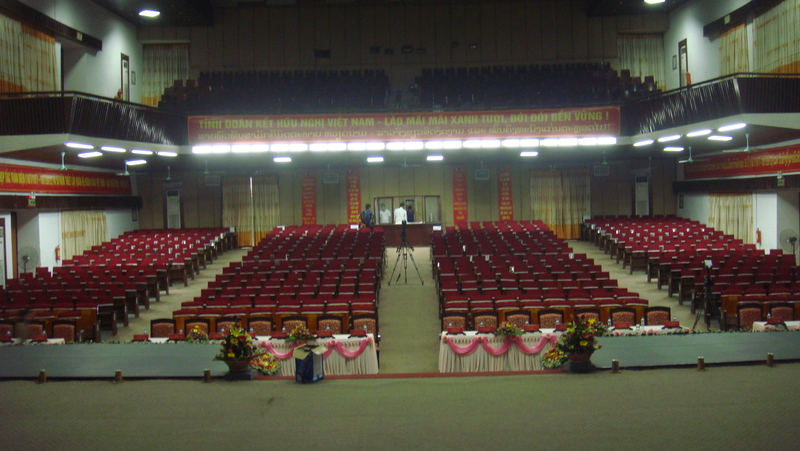 Well before curtain time, every seat was filled in the auditorium, and the balconies and booths were jammed. Even technical and design-oriented folks who had attended one or two of the lighting workshops provided by BDC’s first-time but supremely professional and talented technical director Calvin Anderson, found their way into the lighting booth and hitch-hiked a ride with Calvin, who thoughtfully kept his elbows tucked in as he ran the lighting board. The performance itself was a triumph for all involved. The Ambassador spoke passionately at the beginning, as did Maria Jose and Hollander, with a wheel-chair bound interpreter translating Hollander’s address into Spanish; and a sign-language interpreter making all of the speeches understood by deaf audience members. The audience cheered each of the DtC groups enthusiastically, often clapping in rhythm to the music. One unforgettable moment occurred when a young man; Emilio, an extraordinary dancer seemingly unhampered by his DS condition, ran out in front of his group during the ensemble bow, like a Mick Jagger, beckoned more applause and jumped several times in a cheerleader’s spread eagle high in the air. The audience went wild. 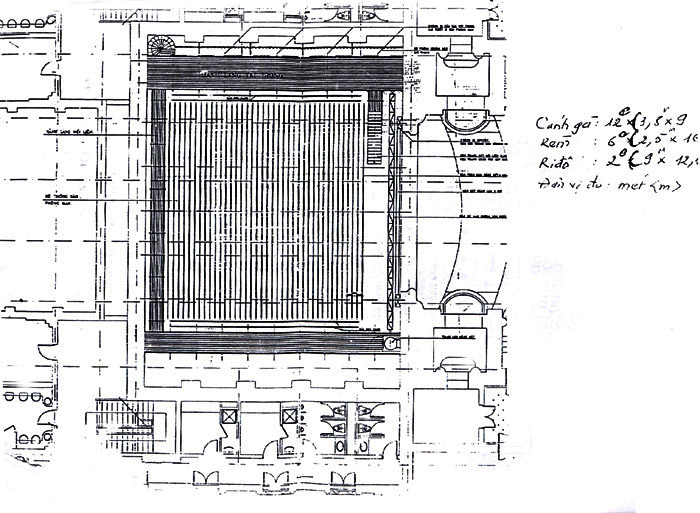 The second half of the program had all of the young participants finding places on the carpeted steps of the aisles and in the well in front of the stage, squeezed tightly together, and yet completely silent and attentive until the end of each of the three BDC pieces at which point they erupted in ecstatic applause and cheers. Certificates of program completion had been printed by the Embassy and signed by Arthur ‘Tuck’ Evans, the Public Affairs Officer, who had been the project chief from the Embassy side, Maria Jose of Saraki and Hollander. Voluminous bouquets were handed to each member of the BDC team, many of whom re-gifted them to their interpreters or the students themselves to pass on to their parents. Calvin Anderson, Battery Dance’s Lighting Supervisor and Touring Tech Director gave two lighting workshops. The first was to a select group of film, architecture and art students at Casa de Artes Visuales with an audience of approximately 15. 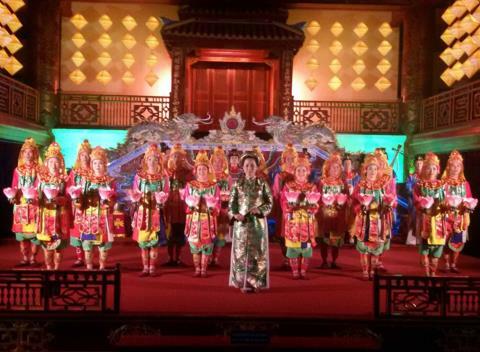 The second was to a group of dancers at the Municipal Theater. There were about 50 in attendance, including about 6 of the production staff of the Municipal Theater. 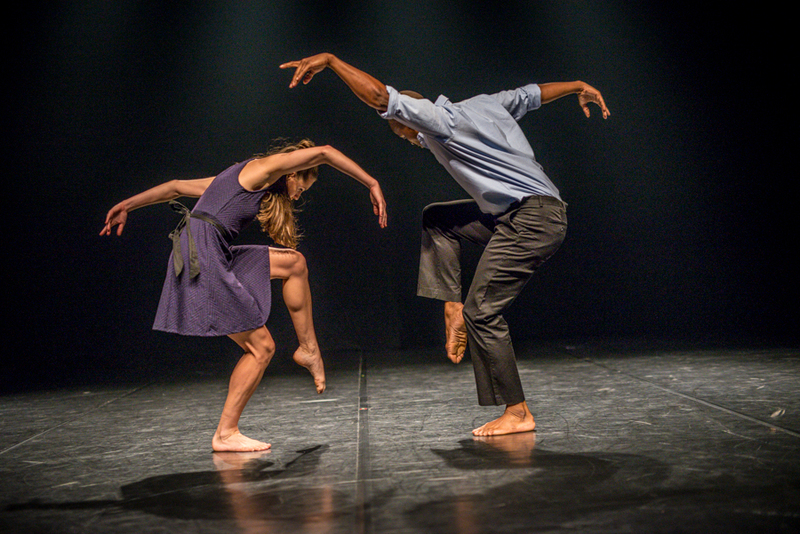 Two of Battery Dance’s senior teaching artists, Sean Scantlebury and Mira Cook, participated in the Dancing Poznan 2015 Festival. 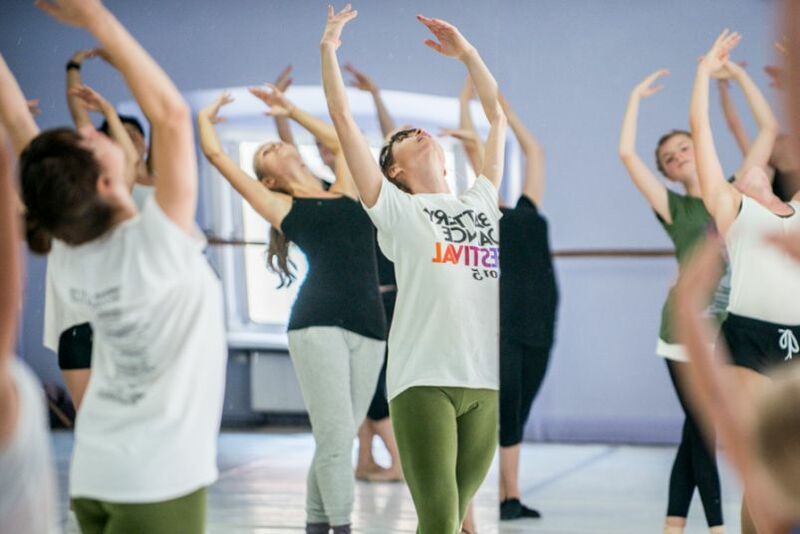 They taught an array of master classes and workshops reaching approximately 80 students from all over Poland. 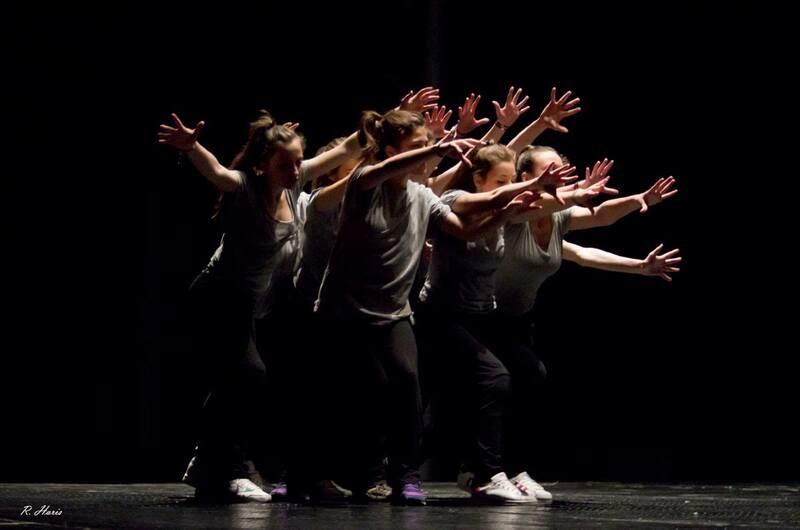 They performed in two concerts, both mixed bills with the host company Polski Teatr Tanca. 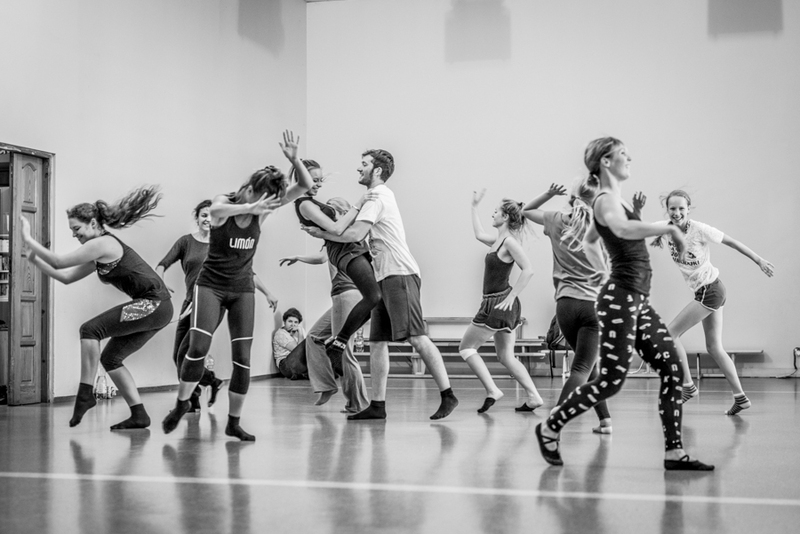 They also completed a Dancing to Connect workshop with twenty participants who created and performed an original work of choreography on the final evening of the festival. 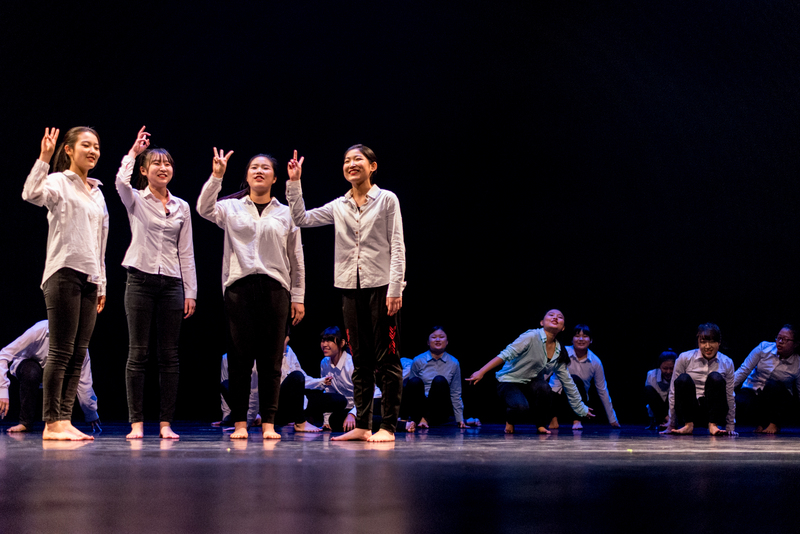 By all accounts, their participation was a major success for PTT and for Battery Dance, coming just a week after PTT had performed and taught in the Battery Dance Festival in New York City (the Polish company’s New York debut.) This symmetrical exchange was a vibrant example of bilateral international engagement between Polish and American artists, companies, audiences and students. Mira taught two daily ballet classes to mixed age and level, 20 – 25 students in each class of 90-minutes each. A live accompanist was provided which enhanced the quality of the classes immeasurably (in New York, the practice of having live accompanists for dance classes has waned in recent years, due to the economy and the challenging state of support for the arts.) She felt the students were very diligent and lovely personalities despite their lack of prior training. 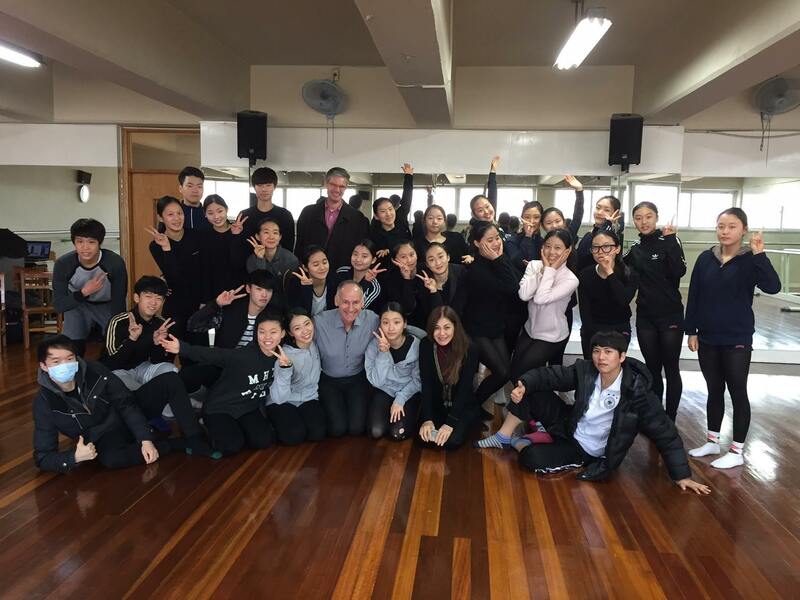 Sean taught a contemporary dance class each morning with 20 students; and coached the Dancing to Connect workshops every afternoon with another cohort of 20 students. 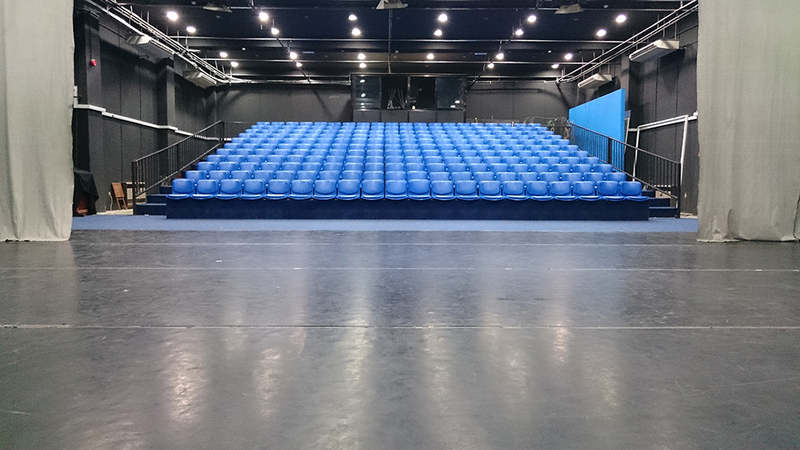 He was very impressed with the commitment and motivation of the participants and commented that the audience for the DtC performance was astonished to find out that the students themselves had created the choreography over the course of only 6 days of training. No matter over how long nor on how many levels a friendship/partnership evolves over time, there can still be surprises when different cultures come together. We thought we understood the scenario in South Africa sufficiently to navigate such surprises. However, there was an increasing amount of friction between the staff members of iKapa and Battery Dance in the 6 months leading up to the Festival. Battery’s expectations regarding the keeping of schedules, completion of tasks and general communication went beyond iKapa’s ability to execute. Reversals occurred regarding funding, especially concerning a grant that had been looking favorable from the Open Society Foundations. When it was ultimately declined, despite best efforts being made by Battery Dance, tensions increased and a funding vacuum loomed, especially because no corporate sponsorships, beyond the very significant hospitality sponsorship offered by Protea Hotels, were forthcoming, nor was there any local Cape Town Governmental support offered. Thankfully, the US Consulate was able to increase the size of its grant to Battery Dance and to make a separate grant to iKapa. These grants were pivotal in pushing the Festival forward. At the launch of the Festival in the Foyer of the Artscape Opera House, we were dismayed when Theo Ndindwa, Co-Director of iKapa and the Festival, failed to acknowledge the phenomenal support of the US Consulate and Embassy. Jonathan Hollander had been on the agenda to speak at the launch, but was not called upon, which was also a shock and prevented him from giving a shout out to the U.S. Mission to SA. Theo also went way off script, wandered aimlessly in his speech, and made what was considered by many to be a racist remark (ie. “The Blacks know the whole city; Whites don’t”) which went against the grain of the Festival, whose subtitle was ‘Town and Township’. In the aftermath of the Festival, when Barry Steele stayed behind in order to fulfill his plans for a diving vacation, he continued to push the agenda of reimbursement for the stolen items from Artscape and was put off by Acting CEO Marlene LeRoux who seemed to feel that a letter of apology, given to Hollander at the outdoor performance, was sufficient. Communication is on- going and there is a hope that when Andre Steenveld, Acting CFO, returns from vacation next week, that there will be some positive news regarding the insurance claim. On his last day in Cape Town, when summoned to a meeting by Theo and Siphiwe Ngwenya, he felt that an effort was being made to woo him away from Battery Dance in order to secure his services for next year’s Festival, an attempt he brushed off abruptly and reported immediately to Hollander and the BDC leadership. All of the above has to be seen in the context of Cape Town, post-Apartheid South Africa, still, in many ways, stuck in the bad old ways of Apartheid. This is not the integrated city that it should be and one hopes that efforts such as the Cape Town International Dance Festival will grow and thrive and eventually live up more fully to the subtitle (coined by Hollander) of ‘Town and Township’. 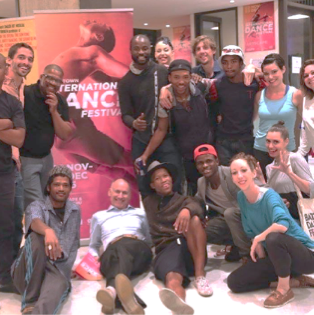 Battery Dance committed itself to a multi-year cultural diplomacy engagement in Cape Town, SA, which culminated in the creation of the Cape Town International Dance Festival. 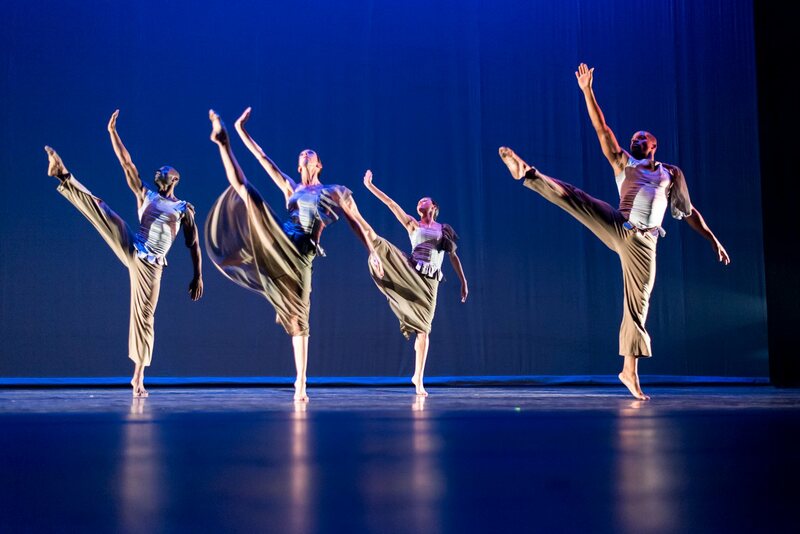 In the grand scheme of things, the Company succeeded in shepherding the first truly international dance festival to be held in South Africa, organized in partnership with iKapa Dance Theatre; performed on 5 separate occasions in three locations – the Artscape Opera House, the Artscape Plaza and an outdoor stage in the center of Gugulethu Township; and ran 20-hour Dancing to Connect youth engagement workshops in Hout Bay in collaboration with Lalela Project and in Gugulethu in collaboration with iKapa Dance Theatre. Representing incalculable added value, Battery Dance’s production and lighting designer, Barry Steele, served as the production director for the entire Festival; and its artistic director, Jonathan Hollander, consulted continuously with the iKapa leadership and advocated and supported the participation of dance companies from Finland and Spain in the Festival. Audiences for the Opera House performances were generally mixed in terms of age, gender and ethnicity and dancers vs. general public. 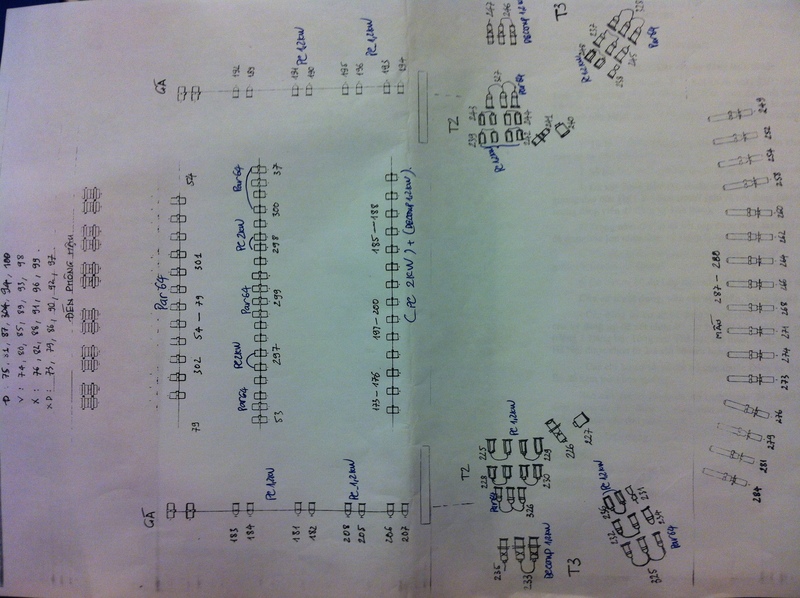 An informal cumulative audience tally for the Opera House performances is estimated (by BDC) at over 2,000. 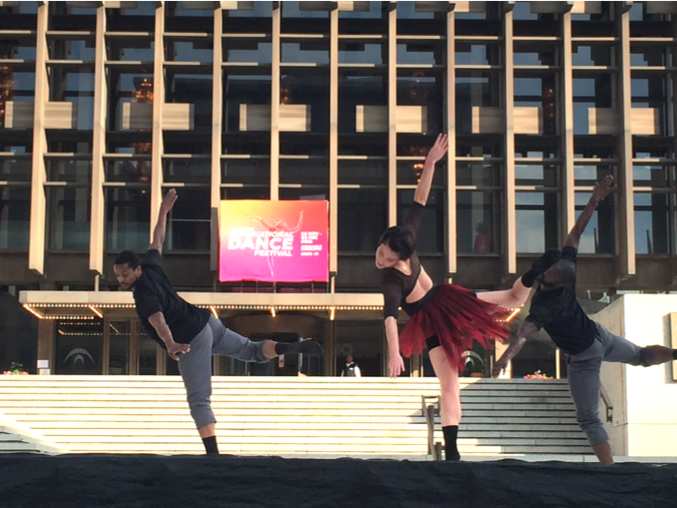 Audiences for the Artscape Plaza performances were underwhelming with a range of a disappointing 25 – 100 people per day. 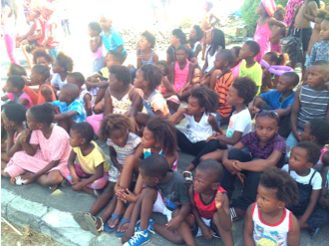 Similarly, the performances at Gugulethu attracted around 300 people; not the thousands that were anticipated. Whether the low numbers for the outdoor performances reflected a lack of publicity, a factor of first- time event, a miscalculation of foot traffic at Artscape Plaza and timing problems on an early Sunday afternoon in Gugulethu, would be hard to evaluate. Perhaps it was a combination of all of the above. 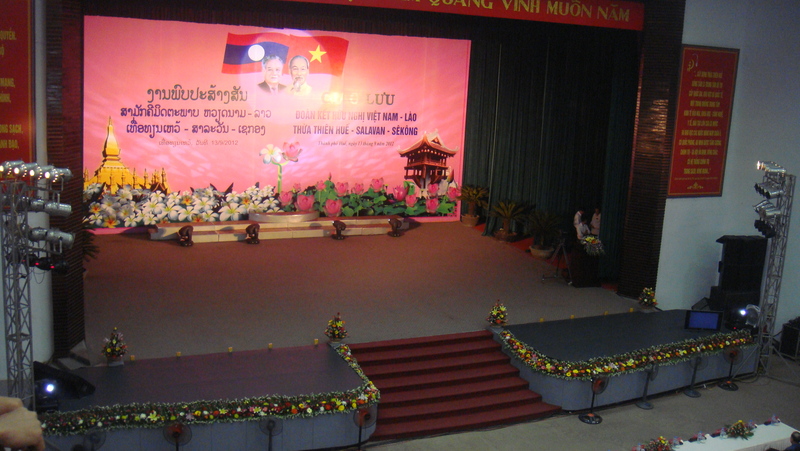 Audience response to the performances was very good – with loud cheering at the end of almost every performance. 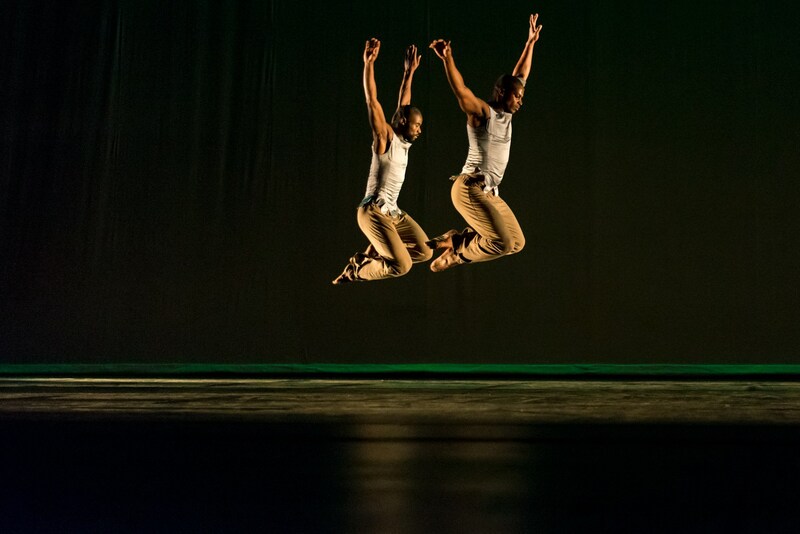 One of the most positive aspects of the Festival was the inclusion of local dance companies that responded to the opportunity offered by iKapa and Artscape. 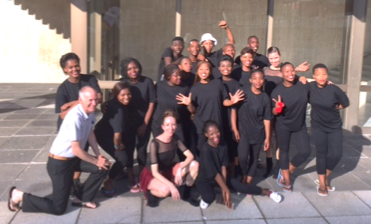 In a very divisive, competitive environment, the fact that Cape Dance Company, Adele Blank/Free Flight Dance and the Cape Ballet Company participated in performances organized by iKapa, was striking and carried an important lesson of community spirit. Another positive outcome came in the form of the two Dancing to Connect workshops that allowed approximately 35 youth from the Townships to engage in the art of choreography, learning about themselves and their own capacities, building teamwork skills, engaging with American teaching artists, and performing with great pride on the stage at Artscape Plaza. Although even this aspect of the project fell far short of expectation -- five workshops, not two, had been planned because iKapa failed to take the necessary steps to realize this expectation. 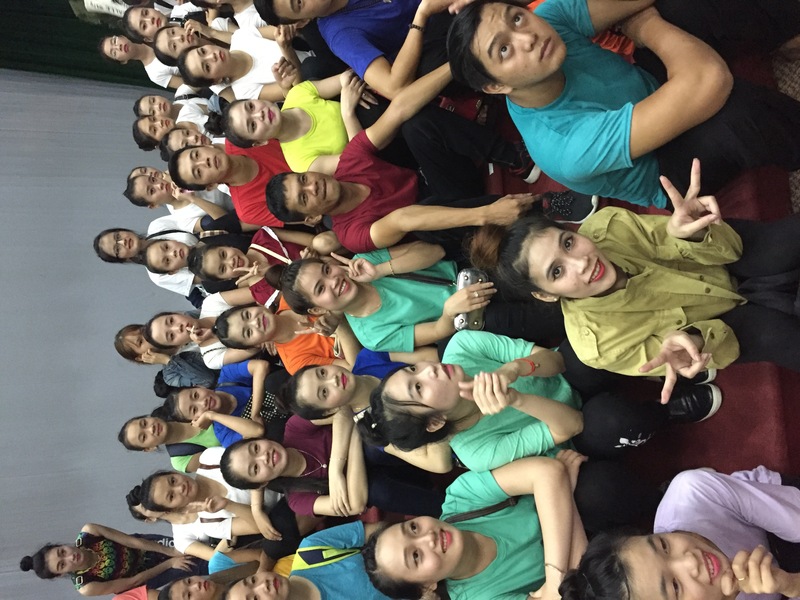 Nonetheless the young women and men who took part were exhilarated by the experience; a fact evidenced by Lalela’s enthusiasm for continuing the program with Battery Dance in the future. The Lalela/Hout Bay workshop was fully subscribed and adhered to best practices, with students appearing dressed and ready at the appointed time every day and with full-on energy and desire to participate. The Gugulethu workshop organized by iKapa was the opposite: students appeared as much as 1 to 2 hours late every day, the teens who were of the ‘right’ age to participate in a DtC workshop dropped out abruptly, without explanation, and the younger children, ages 10 – 14, who came of their own volition, were the only ones who actually finished the project and performed at Artscape. A third workshop that was to have happened in Mitchell’s Plain, looked semi-promising on the first day, with very enthusiastic adult leaders from the community, but fizzled on the second day with the loss of the rehearsal venue. The 4th and 5th workshops, promised by iKapa, failed to materialize altogether.